Bring glory to your brand and ensure it never goes unnoticed. We offer an extensive selection of single and multi-bottle glorifiers that can be custom printed and illuminated with your brand in a variety of colour options. There are a range of styles available that include tiered bottle displays, rotating light up displays and acrylic with engraved logos. 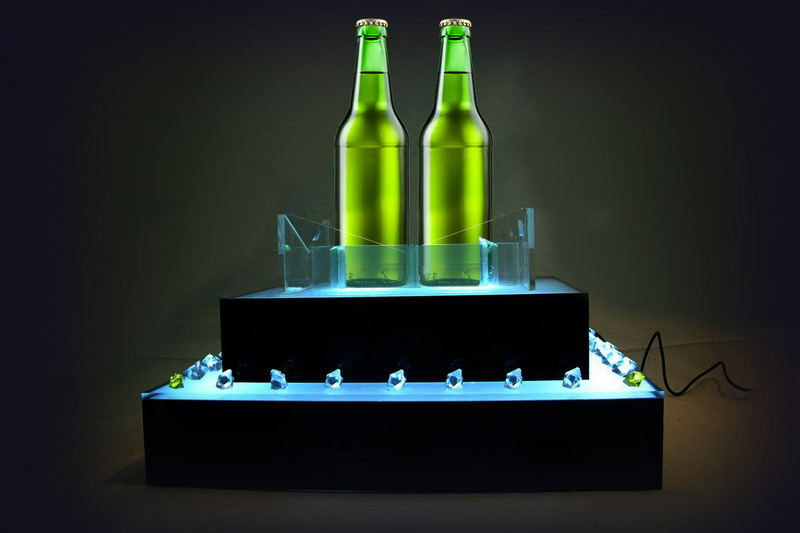 Our popular bottle glorifiers come with either 7 or 12 LED lights to ensure our brand stands out. Each style can provide a unique colour in a range of sizes. All options can be manufactured to the specifications of your branded bottle or product.